Just west of the museum on Harvey Dunn St. (926 Harvey Dunn St. on GPS). No need to go back for a pass when you check in at the front desk. Always free. 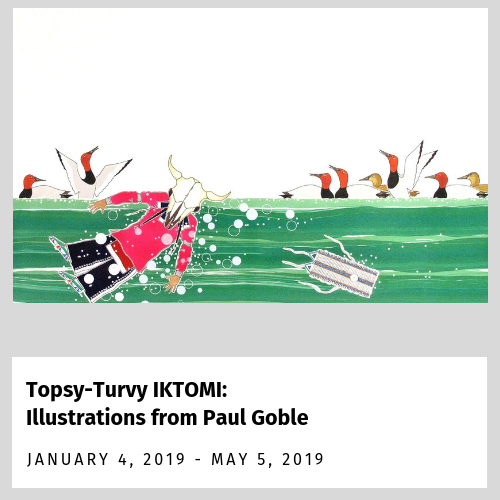 Sign up for our monthly e-newsletter and/or postcard and brochure mailings! Communications options sign up - click here. 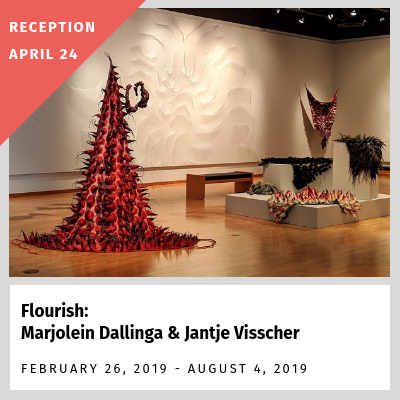 Flourish: Marjolein Dallinga & Jantje Visscher, a Jodi Lundgren curated exhibition, opens today at South Dakota Art Museum and runs through Aug. 4, 2019. 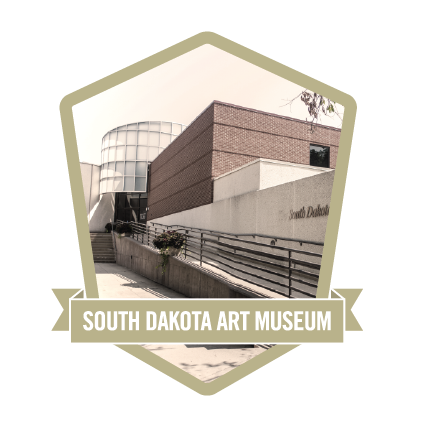 Nearly 60 students from Sioux Falls Lincoln and Sioux Falls Washington recently visited the South Dakota Art Museum and South Dakota State University. 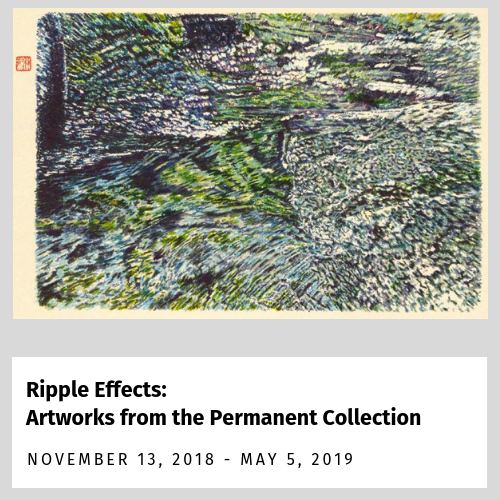 The South Dakota Art Museum Guild will travel 30 minutes north of Brookings to Estelline, SD to tour Roger Wermers' painting & sculpture studios. Guild membership is not required. Store wide sale, includes clearance items as well as an additional 10% discount for Museum Members and SDSU students.